Peter DiMuro views art as a window into humanity. He believes art to be a great unifier meant to reach wide bodies of people and bring them together into a shared experience. A little while ago, I spoke to Maria Finkelmeier about the magic of bringing a large group of people together to experience the same thing at the same time. There’s an intimacy and magic in shared experiences. During these fractured times, it seems as if it is more important than ever to be open to sharing experiences and learning to find the commonalities that we all share as humans. In the wake of Anthony Bourdain’s death, let us be reminded that these bonds can be found in the most unexpected and simple of places to create new friendships and open dialogue. When I met with Peter, he talked about being a ‘chubby, budding gay-boy from the midwest’. His father was the chief of police in a town of less than 150 people and Peter’s exposure to the arts was through the Carol Burnett show and the Ernie Flatt Dancers. The art he was exposed to at an early age was meant to unify the country for an hour through entertainment. Peter then moved to the Northeast for college and travelled the world with Liz Lerman and The Dance Exchange creating gorgeous social statement dance pieces meant to ignite communities to take action. 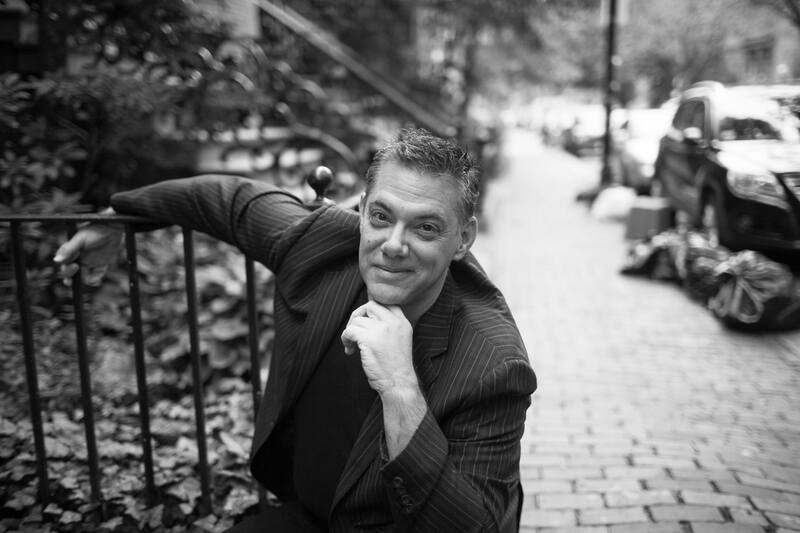 Currently, Peter is the founder and director of Public Displays of Motion and the first ever choreographer-in-residence at the Isabella Stewart Gardner Museum. Through his decades of dancing and choreographing, Peter has never lost his earliest lesson that art and dance can be a great unifier. Art is meant to move people and elicit emotion. Art done just for the sake of other artists, as a purely intellectual exercise, loses sight of what art is originally about, which is to touch the masses and connect with people. Without the human connection in art, is it really art? One of your goals behind your choreography is engaging the public, what do you think are the main tenets to set fire to and engage the public? That’s a really good question because audiences think that when they come to a show they’re here for one reason, but I know they’re there for multiple reasons. For instance: when we do the Esplanade or something that’s higher profile, people think they’re going to see a pretty dance in a pretty space, or they’re going to go and have a picnic with their family and it’ll wonderful and they’ll enjoy the art and the culture. That’s all great, but I think there’s a way to have that and something else at the same time. I have this theory that when we’re born, we’re born as these curious, wondering beings and then depending on our families or how we’re nurtured, or certainly by the time we hit puberty, we turn it off. No more questioning. Don’t question this, don’t question that, and it takes a lifetime sometimes of coming back to this curiosity and asking these questions and having this wondrous side to us just asking why? We approach art in 21st-century America with a statement vs a question. We’ll come because we know what it’s about or we’ve seen it before and so we’re going in with a statement of an expectation. I would love for people to come with a question of expectation, curiosity, and wonder, and think that they might know what’s going to happen but also maybe there’s something else? I mean, how much more exciting is that? I’d much rather go to something like that as an audience person myself. I think what makes people curious and wondrous about things is if they see themselves mirrored and reflected in this. At the Gardner, we were in the galleries last night and we’re doing a creativity exercise to develop movement called This = That where people go through the galleries and as somebody enters, I might say, “Oh, have you looked around yet?” and then we’ll tell them to look around and be aware of at least three times when their curiosity is peaked. “What is your most curious moment as you're looking at a whole painting or at a detail of something?” I’ll ask what they saw and often they won’t know if what they saw was right or wrong but they’ll say something like, “I feel like this is an uncertain woman in this painting” “What's uncertain?”-- so you do this little interview and they'll say that it’s the way her finger seems to be vibrating near her cheek and so all of the sudden, I have this little movement that’s this vibratory cheek movement that I put together. I’ll couple that movement with a slashing motion to be similar to a slash color and I’ll start building these movements together and translating non-narrative images into a linear movement. Movement does not tell a chronological story, it tells an imagistic and collagist view of what's happening and that's how I, as a choreographer, translate all of that. Here you are in this gallery and people are giving you three movements only and they're thrilled because the mystique of dance has been broken away for them. They have a portal into this dance! That is really cool! Congratulations on your appointment of being the first choreographer-in-residence for the Gardner. I have a quote of you saying that you want to "...choreograph dance pieces that respond to the museum's collection and space.” How do you translate a physical piece of art into performance art? Yeah! I want to do something in the galleries if they'll let me. A bit of this process is about juggling what's the most wonderous and most curious so I laid those multiple thoughts down on a table and tried to find the common themes. I think what we will do now is a guided tour through the whole palace and each room will have a little movement installation or a dance that might go on on a loop until eventually you’ll end up in the courtyard. We’ll do 12 hour-long performances this October and then on the 18th of October, there will be a special performance. Calderwood Hall at the Gardner has a four-tier audience and we’ve decided to erase the lower-level audience so everyone will see it from above. It’s a 20-minute dance that will borrow some of the concepts and dances from the palace and some of the dancers will be dancers with disabilities. One of our dancers is Adrianne Haslet, a ballroom dancer who lost her leg in the Boston Marathon bombing and is now a huge advocate for amputee rights. Kris Lenzo will also be dancing with us and he is one of the finest wheelchair artists that I’ve ever met! 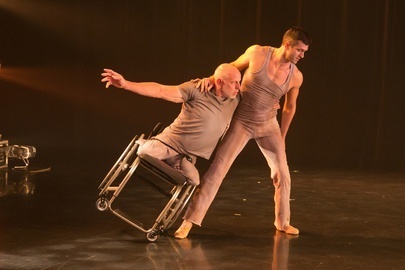 One of our frequent collaborators, Elver Ariza-Silva will be dancing and he is an adult survivor of polio. My point here is using that piece as a metaphor for the 1990 heist. The Gardner lost all of these works of art and in my mind it’s like you think something’s beautiful and then something goes missing from it (a leg, a painting, the ability to move) and what's left is still beautiful. What is the most surprising thing that you've noticed that people fixate onto with a painting? Maybe it’s not the one thing, maybe it’s the difference of it. Some people really get into the details, like a blue rim, or the way a straw is in a cup. Other people go directly to a place of feeling. Some people might gaze at a painting and see a whole backstory of strength or feel crushing sadness. It’s fascinating the way we compartmentalize as human beings, there's something about being in that feeling place that makes you feel more adrift. Some people come to the museum and they almost can’t see the detail because they are overwhelmed by feeling. Even with these two opposite ways of approaching a painting, they're completely polar opposite ways of approaching the same thing. The postmodern world goes through cycles, like right now we are going through cycles of being non-emotional and we think that we need to get back to form and structure only and we do that for a while but then we keep adding humanity back into it and we go back again. It’s like this cyclical thing, you know? I’m sure music it’s quite similar too. I get it that everybody should be pushing boundaries and doing something that fulfills them, but I make dances not just for other dancers, but also for other humans and that’s really important. It doesn’t mean that I’m twerking on stage or pandering to the audience, but it means that if we saw audiences on the spectrum of wanting total release from their workday and just need pure entertainment to people who want to think deeply, is there a way to make art for both? It allows people to come into the dance in different ways when both dimensions are present. We miss the mark when we just do the thing that’s self-indulgently what we want. The best in art brings out lots of different emotions in lots of different people. Speaking of compelling and accessible, let’s talk about the Boston Landmark Orchestra's Bernstein concert with your company Public Displays of Motion. What do you think it is about Bernstein that pairs so well with dance? Yes! Public Displays of Motion is being commissioned to make a dance to a symphonic suite of music from Bernstein's musical/operetta "Candide"! Bernstein was amazing. I never met the man, but I played Bernardo in West Side Story when I was 21 and from that moment I became aware of how smart Bernstein was. There’s this high-brow but humane connection that he has! 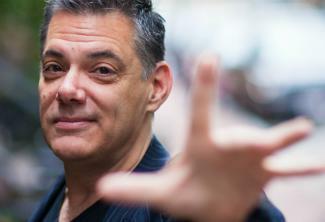 Bernstein made music that had rhythms that people could identify with and West Side Story is rife with them! Additionally, the themes of West Side Story work really well, as do the sentiments. Something like “Make Our Garden Grow” is very emotional and it connects well with audiences. "Make Our Garden Grow" originally has lyrics, but in our performance there won't be any words so we have to figure out how to convey the same emotions through movement. My job is about figuring out how to take music in a symphonic form and create a dance that isn’t trite. We aren’t trying to create a dance that shows what the lyrics should be when there aren’t lyrics, if you know what I mean. 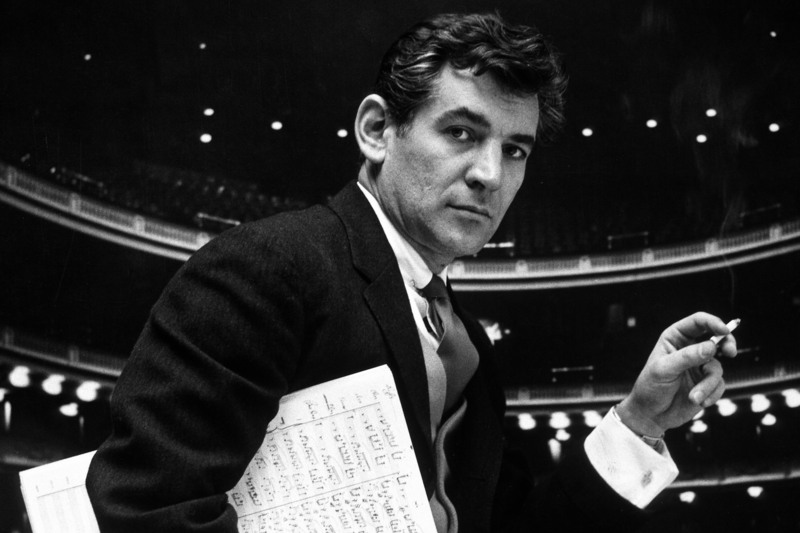 Bernstein listens to who and what his themes are and the best example of that is the West Side Story. The difference between the Sharks and the Jets, and the states of emotion and rhythm within his songs is so human. It’s like everyday intervals that start to speak to the mood and the changes of emotion. Bernstein does that in a symphonic way. He understands the arc and flow of an emotion with music and lyrics. 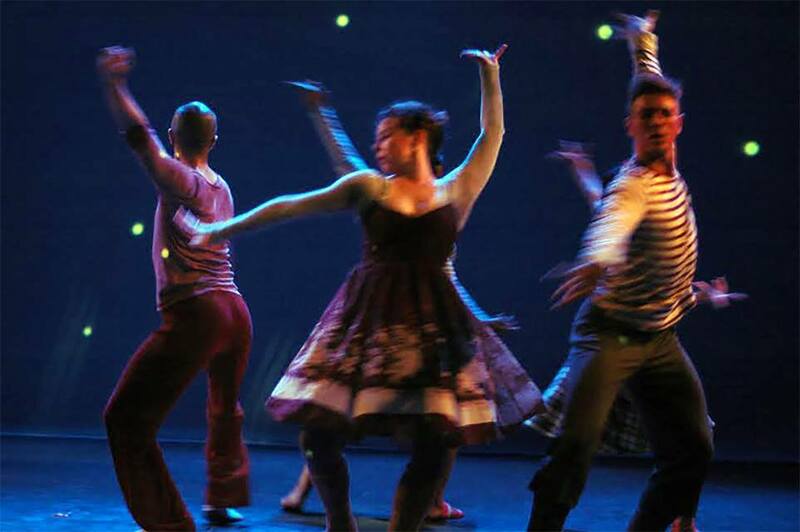 See Peter and Public Displays of Motion performing at the Esplanade this summer!